A health insurance claim is the amount against the health care services you must have utilized for getting yourself treated at a hospital setting. Does the entire amount gets reimbursed? The Insurance Company is responsible only for paying the benefits that are covered under your policy. 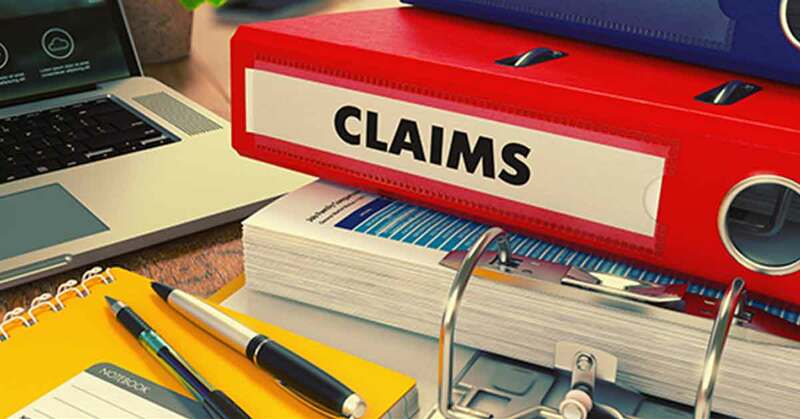 You should understand the policy wordings in and out to avoid all sorts of claim-related woes. Make sure that you are aware of what your health policy does not cover. Waiting periods, exclusions and sublimit are conditions that are neither explicitly disclosed by the insurer nor the customer wishes to understand and dig-in deeper to comprehend. Insurance companies also apply various types of capping in their health insurance plan – like Co-pay, Limits on Surgery expenses etc. Co-pay is a share of the admissible claim that the customer will bear. Consider this: you claim Rs. 2 Lakhs, and the admissible claim is Rs. 1.80 Lakhs (expenses approved by the insurer from your original claim), and Co-pay of 10%. The Insurance Company would pay Rs. 1.62 Lakhs. Customer would bear 10% - Rs. 18000 on the admissible claim, over and above Rs. 20000 of inadmissible claim. For instance, Health Insurance plans have a 30 day cooling off period, which means any claim arising out of illness/disease contracted within 30 days from the policy purchase will not be settled except the ones arising from an accident. Also, there are certain time bound exclusions or waiting periods for certain ailments or type of ailments. There are many diseases that are covered in a health insurance policy after a specified number of years. Few insurers might cover them after 1 year and few after 2 years or 4 years. Also, Pre-existing diseases are covered after specified number of years, which can be 2 years, 3 years or 4 years, as per insurance company. Insurance products apply certain restrictions on the choice of room you can select in the hospital. Some apply a monetary limit, while some others apply a room-category cap. In case you select a room that is higher your eligibility, not only will deductions be made on the room charges that exceed the eligibility, but all other charges incurred while in the hospital are also proportionately deducted. For instance, if your Room Rent eligibility is Rs. 2000 and the hospital room you selected is costing Rs. 4000, not only will Rs. 2000 per day of hospitalization be deducted when the claim is paid, but all other charges like doctor consultations, medical checks, surgery costs all would be paid proportionate to the eligibility, that is @ only 50% of the services charged. The irony is that the customer gets to know the coverage, terms & conditions in detail only once they actually file a claim against the insurance company, and even more so when the claim gets rejected. Let’s face the truth - the best grasp of the nitty-gritty of the insurance policy is gotten at the time of claim denial. Claim denial or claim rejection is the main reason for any escalation by the customer against the insurance company. Lack of understanding specific to coverage, exclusions and other terms & conditions is one of the key reason for such escalations. One should be aware of these exclusions & conditions once you receive the policy document and not when your claim is rejected. In the above listed scenarios, the health insurance claim stands inadmissible, which in turn is a potential case for escalation as the customer has no clue on the rejection reason basically due to lack of understanding of policy terms & conditions. Majority of us fail to read the policy document shared with us by the insurance company post policy purchase. Policy wording is the document that explicitly defines the coverages, exclusions and other terms and conditions which an insured must know about his/her policy. It’s important to declare the Pre-existing diseases at the time of policy purchase as pre-existing diseases are covered after a waiting period of specified number of years. Therefore, the said declaration is important both for the customer and insurance company. If the insurance company while processing a claim identifies that you were suffering from any disease (related or unrelated to the filed claim), the claim shall stand inadmissible basis non-disclosure of material facts which is one of the principles of insurance. For instance, consider a scenario where the customer is suffering from diabetes and hypertension and this information was not shared with the insurance company while purchasing the policy. In the third month, an accidental claim was registered with the insurance company and they identified that the customer was suffering from the said ailments. The said claim, though unrelated to the diseases, would still be rejected basis non-disclosure of the health related information. Insurance companies have multiple mechanisms within their organisation to detect the misrepresentation made by the customer during policy purchase. Health condition (current and past) is required by the insurance company to underwrite that particular proposal. Underwriting is the process of risk selection and risk pricing, where the insurance company accepts your risk at a certain price, known as ‘Premium’. Depending on your Health condition if severe, the Insurance Company may accept your Proposal at a higher premium which is termed as Premium Loading. Further, it is also possible that the Insurance Company might decline your Proposal due to severity of disease you are suffering. The above listed points should essentially be followed in order to avoid any sort of hassle at the time of claim. In spite, having read the terms and conditions of the Policy Document and declaring the current and past medical condition, if the claim still falls outside the purview of Policy coverage, it will stand inadmissible. All the genuine claims are settled by the insurance companies provided the relevant documents as required by the insurance company are submitted by the customer.